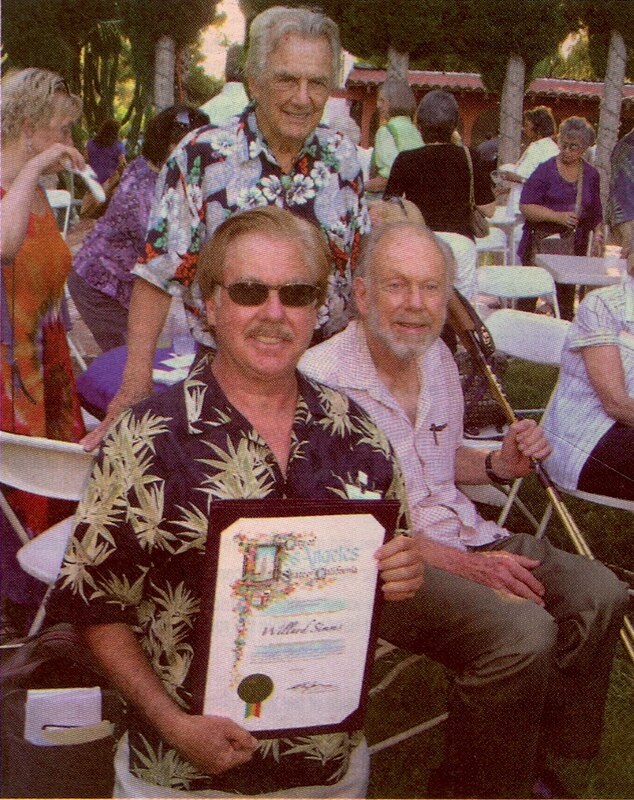 The following article appeared in the recent edition of the SFV West Valley News. There couldn't be a better backdrop for the staging of the initial phase of Narrating Lives - Oral Histories of the San Fernando Valley - presented by The Museum of the San Fernando Valley - than Rancho Cordillera del Norte, the original home of a valley pioneer family, Elizabeth Waldo, a composer, violinist, producer, whose late husband Carl Dentzel developed and named Northridge (Northridge is English translation of Cordillera del Norte), still lives within the expansive ranch. She has her own New Mission Theatre where she holds plays the reflect the Valley's history. 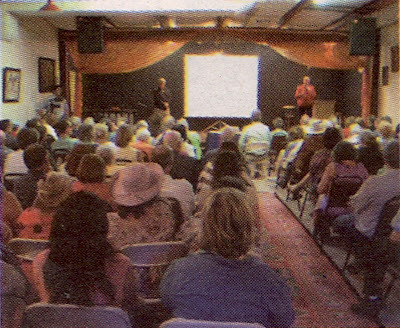 On Sunday, August 14, 2011, nearly 140 guests answered the call to attend a special reception to highlight and showcase the first phase of video vignettes from interviews of pioneering San Fernando Valley residents. It was a beautiful summer afternoon, hot and humid, typical of an August day in the Valley. The lush beautiful gardens welcomed the guests who gathered around to meet and greet while a Spanish troubadour walked around playing his guitar and quietluy singing. 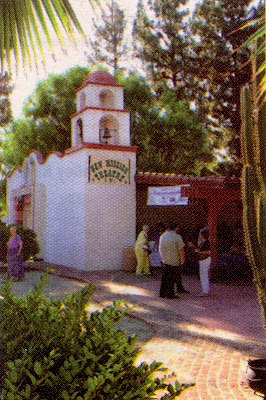 Some guests chatted under the Spanish tile patio cover of the New Mission Theatre, others sat around tables arranged near the Spanish rancho style outdoor cantina a few yards away. 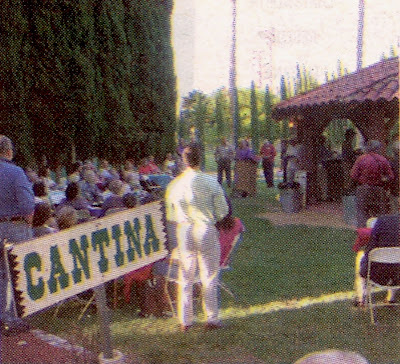 In the spirit of historic diversity of the Valley, a multi-cultural buffet and refreshments catered by Sabroso Mexican Restaurant of Winnetka, was served. Event organizers patiently waited until all guests had enough to eat to start the afternoon program. The Museum of the San Fernando Valley Board member, Richard Hilton was the m.c. for the event, Among the special guests were former Councilman Greig Smith, Porky Johjnson and Montie Montana Jr.
"It was very exciting having the two architects Eric Lloyd Write and Dion Neutra, with their impeccable bloodlines there, lots of people were talking about that afterwards," commended Willard Simms, who apprears in a photo above.